Jimmy Shan will remain in charge of West Brom until the end of the season, the club have confirmed. Shan has guided the Baggies to four victories in six matches since taking over at The Hawthorns after Darren Moore was sacked in March. Although there was never an official approach, Albion wanted Preston boss Alex Neil to take charge, only for the Scotsman to sign a new three-year deal at Deepdale on Sunday. Shan will now be given the opportunity to further impress the West Brom board as he looks to guide the club back into the Premier League at the first attempt. "I'm happy that we can now move forward with clear planning and direction for the remainder of the season," he said. "It won't change the work ethic and application of the players and the staff but it enables us to crack on with a clear target in our sights. "From a personal point of view there is huge, huge pride to be given the responsibility. For me it is a chance to see the journey through that began at the end of last season. Albion are fourth in the Sky Bet Championship and remain on track to secure a play-off place with four games of the season remaining after beating Preston 4-1 at home on Saturday. 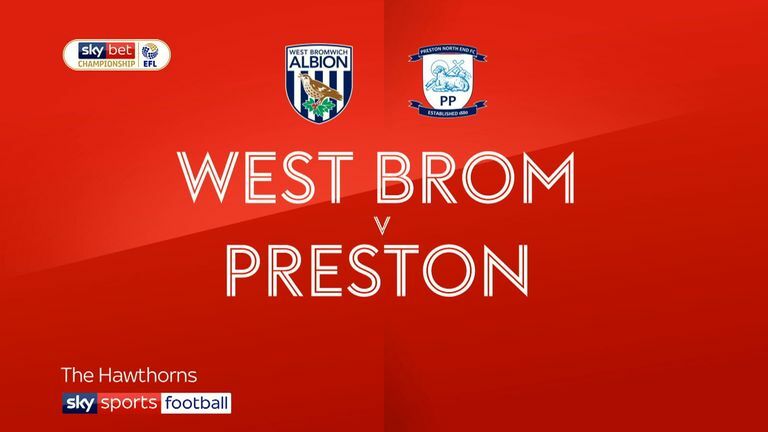 Highlights of the Sky Bet Championship game between West Brom and Preston. "Jimmy has fully earned this opportunity to take us through to the end of the campaign," technical director Luke Dowling told the club's official website. "He has earned the support and confidence of the players who have bought into the structural and organisational changes Jimmy has introduced. He has the backing of everyone to push on now and take us forward with momentum. "Of course he recognises, as do we, that there is space for some more experience to join the coaching group and we expect to be able to clarify this element over the coming days."